April 2nd 1972: It was Easter Sunday in West Palm Beach Florida. After attending Mass, Mets manager Gil Hodges had just finished up a round of golf with his Mets coaches Joe Pignatano, Rube Walker & Eddie Yost. The Mets were staying at a Ramada Inn near the Spring Training baseball stadiums of the Atlanta Braves & Montreal Expos. On their way back to the hotel, Joe Pignatano asked Hodges what time they were to meet for dinner. 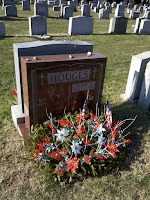 Hodges responded 7:30 & then collapsed, suffering a sudden heart attack. He fell back hitting his head on the floor, dying in the arms of his friend & Mets coach Joe Pignatano. 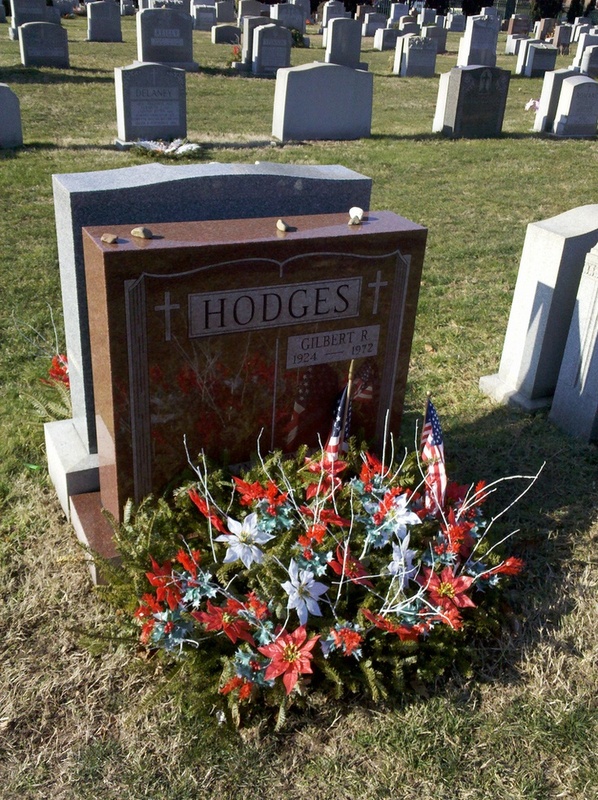 Hodges was rushed to a nearby hospital & pronounced dead at 5:45 PM, just two day shy of his 48th birthday. The Mets organization was shocked. The players devastated by the man they all looked up to with respect & love. Hodges had taught them & led them to the most improbable World Series win ever in 1969. This event would impact the Mets future for years to come. The Mets of that era were good & had many young players developing. The organization went lost without Hodges, the leadership was gone. The '72 team could not compete still shock. Many bad decisions brought the team down in just two years & it took almost a decade to recover. Hodges death impact was that strong. April 6th 1972: On this sad day the Hodges Family; Joan Hodges with her son & three daughters laid their beloved father to rest. The New York Mets & the City of New York also said goodbye as they buried the Manager of the 1969 Amazing Mets & the teams current manager at that time, as well as a New York baseball Legend; Former Brooklyn Dodger- Gil Hodges. Thousands of people lined the streets at Avenue M & E. 28th St, around the Church of Our Lady Help of Christians, in Gil Hodges Brooklyn neighborhood parish. He was buried a half mile away at Holy Cross Cemetery in East Flatbush, just a half mile from where Ebbets Field stood. Quotes: Father Charles E. Curley: “Gil was a hero, All of us need heroes, though lately they seem to be in short supply. Here is one to look up to and imitate.” The pastor noted that Hodges had never been thrown out of a ball game by an umpire —“the secret was his avoidance of rough language. 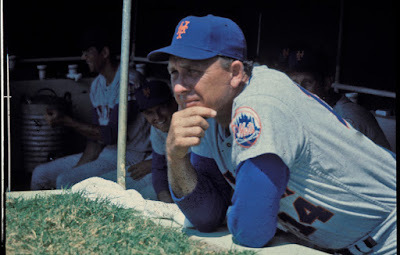 Let's all say a prayer for Gil Hodges." 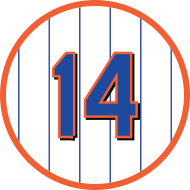 Gil Hodges Jr. said that he was led to the back seat of a car by Howard Cosell & Jackie Robinson & good friend of the family was crying & told him " next to my sons death, this is the worst day of my life". 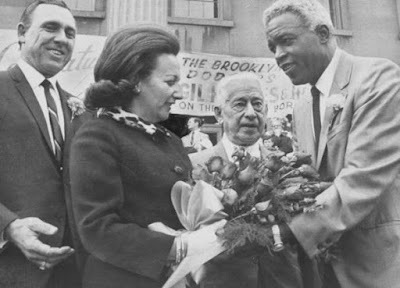 Quotes: Jackie Robinson: "He was the core of the Brooklyn Dodgers. With this, and what's happened to Campy and lot of other guys we played with, it scares you. I've been somewhat shocked by it all. I have tremendous feelings for Gil's family and kids." Robinson who was in bad health at the time would also pass away just six months later. Hours later the Mets held a press conference at Shea Stadium announcing that Yogi Berra was to be the new Mets manager. Yogi was the popular choice, another New York baseball legend. 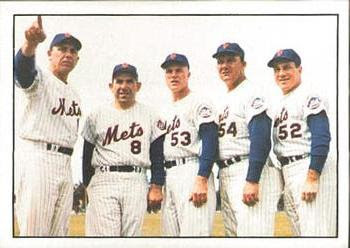 The Mets had to act fast since this was a shocker, no once expected Gil Hodges to die of a heart attack. The 1972 season was delayed by two weeks due to the first ever MLB Players strike. Although Yogi would get credit for leading the 1973 Mets to the NL Pennant, many with in the organization then & looking back many people today feel the job should have went to some one else. A Young Whitey Herzog was the Mets VP of the minor leagues back them, he had groomed so many young Mets in the sixties for the big leagues, he was the right choice but not the popular choice. Herzog would leave the organization to go manage the Kansas City Royals the next year. He won three straight A.L. West titles there & then a World Series & three pennants with the St. Louis Cardinals becoming the Mets top rival in that era. Berra was the opposite of Hodges, if some one disobeyed a rule he'd say "that'll cost ya" but hardly go through with a fine. Hodges demanded respect & was a strict disciplinarian. The youngsters feared him but also respected & loved him for his leadership. He brought the best out in everyone who played for him. The Mets honored Hodges on Opening Day 1972 & wore arm bands on their sleeve for the entire season. The next year they retired his number uniform #14 in a pregame ceremony.